In the summer of 94, Bernard and I, and a couple more, Junior and Craig I think, I forget who because a larger crowd met us in car later on, took a trip on the old railway bed on atv’s camping. I know Eric missed this trip because he was out further west working with some forestry project. We loaded up the gear, and headed out the tracks, seeing lots of unfamiliar country as the bed deviates from the highway quite a bit. For our first night, we set up tents near Terra Nova, and of course a few beverages were consumed, and much food eaten. That night we headed out around the “town” if it is a town, I honestly don’t know if anyone lives there or not, but it was pretty deserted while we were there. The next day we decided to see some more country and drove the ATV’s toward Gambo, cross I believe the road I mentioned previously in Git! I could possibly have the days confused, but at some point during the trip, we had arranged that rod would contact us. 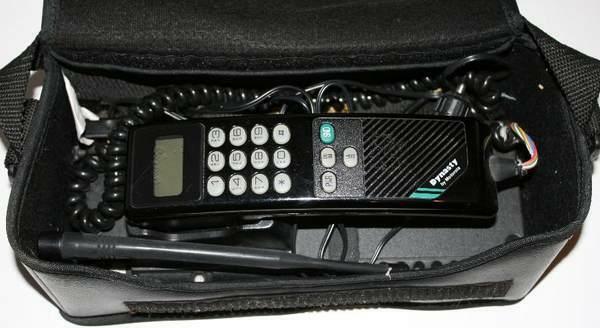 I had an old Motorola bag phone, and Rod had connected an old lighter socket to his quad. He wasn’t with us, someone else was using his quad, but he was to meet us and made arrangements to call us at a specific time. Well the time was approaching, so we pulled up the bikes and hooked up the old lighter socket to the battery and plugged in the phone to wait. Now back in 95 cell phones weren’t nearly as common back home as now, and since they were pretty bulky, you didn’t see them much outside of cars. Well just as Rod called, a woman walked across the tracks in front us, berry picking I believe. The ringing phone never startled anyone so much since the world was made. She nearly jumped out of her skin, and we were left trying not to burst with laughter. Ahh the fun times! Even with Craig threatening to knife us all later that night!